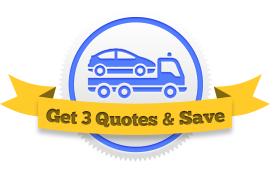 Find a low cost quote on tow truck insurance by comparing three different agents! To get the best deal on your insurance, you need to shop around. It’s tough to find 3 agencies that specialize in tow trucks. We can help! Just fill out our quick form and we’ll bring you 3 agencies to compete for your policy! What is the Cost of Tow Truck Insurance? The cost of tow truck insurance is wrapped up in the cost of your business insurance. Generally, a tow truck insurance policy includes both automobile coverages like auto liability and business insurance coverages like garagekeepers insurance. $4,000 to $15,000 depending on how many tow trucks you own and what kind of business you are. Keep in mind that these prices are averages. Your business might cost more or less to insure. Also keep in mind that these are just the numbers for single tow truck operations. While a repo business with just one truck and one storage lot might cost $8000, a 4-truck opperation with two storage lots could cost many times more. How is Tow Truck Insurance Cost Calculated? Your location. If you live in an urban area or in an area with higher rates of accidents, then expect your premium to be a little more than average. The types of vehicles you own. Do you own light, medium, or heavy duty trucks? Underlift wreckers or rollback carriers? The type of vehicle matters. Typically, the larger the vehicle, the more it costs to insure. Your hours of operation. Are you open 24 hours a day or do you open at eight and close at six? The types of things you tow. The more expensive the vehicle, the more expensive it is to insure. The types of safety programs you employ. Usually required by state and federal laws, your business must follow certain safety programs.